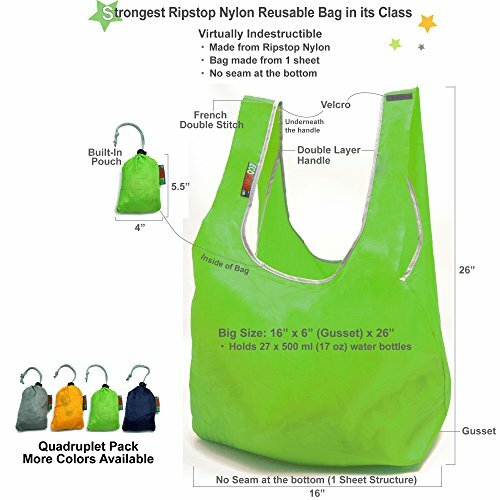 EcoJeannie Reusable Shopping Tote Bags are designed to last for a long time if not forever. Made 100% from Ripstop Nylon in 1 sheet, with French double stitches of handles with extra Edge Lining and with NO seam at bottom, it is virtually indestructible. 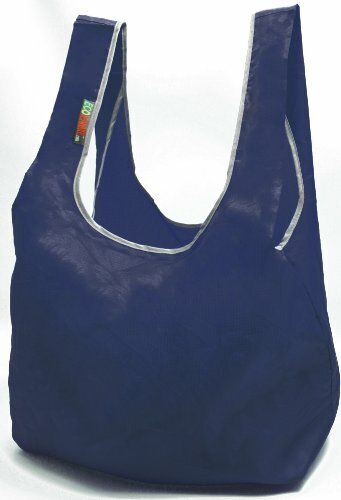 The generous size of EcoJeannie Reusable Shopping Tote Bags makes replacing paper or plastic bags easier as well. This simple switch can save an average shopper from using three hundred plastic or paper bags a year. Also, our bag has built-in pouch to make it easy to keep in your purse or pocket so you will always be with a reusable bag. Enjoy saving our Planet one bag at a time! 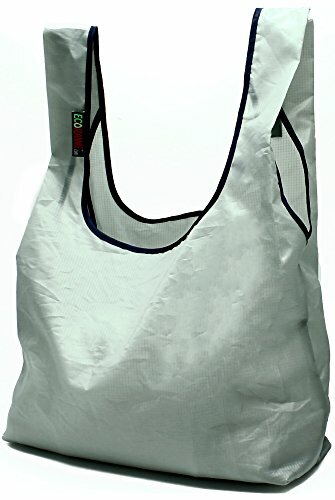 THE STRONGEST REUSABLE BAG : 100% Ripstop Nylon with Several Innovative Features such as Folded Handle with Edge Lining and One Sheet Structure with No Seam at the Bottom. The Strongest Bag in Its Class - Virtually Indestructible. CONVENIENCE : The Whole Bag can be put back into the convenient Built-In Pouch within seconds. Machine Washable. The Velcro on the Handles is very handy as well. BIG SIZE : Easily opens and expands to generous big size : 16" (W) x 26" (H) x 6" (Gusset) - Holds 27 X 500ml Water Bottles EARTH FRIENDLY : Eco-Friendly Alternative to Plastic Bags. No More Plastic Shopping Bags. Good for Nature, Good For you ! WE STAND BY OUR PRODUCTS : Total Lifetime Satisfaction Guaranteed or your Money Back. No question will be asked. Just let us know.